If you’re a programmer, then we all know that the laptop or the desktop PC is your only workplace. However, as we enter the world of smartphones, tablet computers, and smart TVs, everything is going portable, and so is the process of programming. Programming is something that requires a lot of practice, and missing out on it even for a couple of weeks can set you back a bit. The best way to avoid this problem is to make sure you get your daily dose of coding, no matter what. Here at TechSource we've already discussed a lot about programming and today, we’re here to let you know of a bunch of great apps that would make your coding process a little more mobile. Whether you’re traveling or too tired to slouch over your huge laptop, you can take your coding experience anywhere you want. 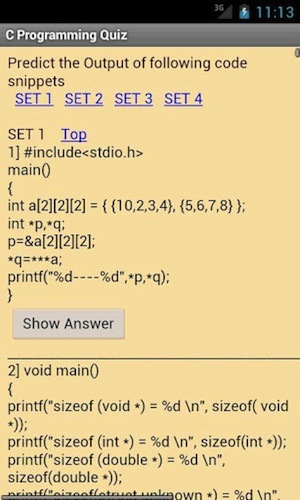 If you’re learning C programming or just been looking to hone your coding skills, this little app lets you test your knowledge of C concepts in a fun, interesting way. 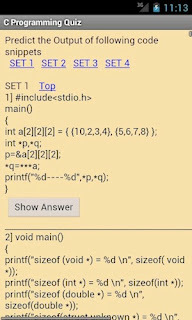 C Programming Quiz, as the name suggests, presents users with a neat quiz based on C programming concepts, thus letting you master what is important for your programming skills. A high-end emulation of the famous HP-16C RPN Programmer’s Calculator, this next app lets you do math, display numbers in decimal, hexadecimal, and do much more without hiring a mathematician monkey. 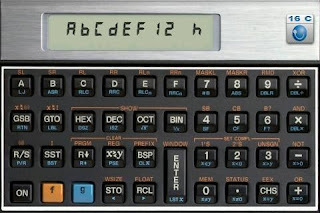 Though not a programming tool per se, HC-16C is a great companion for alleviating most of your coding woes. 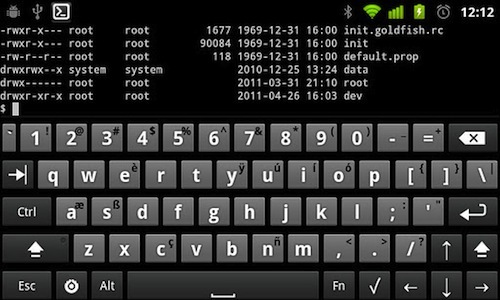 If programming on your Droid is your latest hobby, then the default keyboard, which is more suited for relaying LOLs and snarky smileys, might not be the most comfortable coding tool. 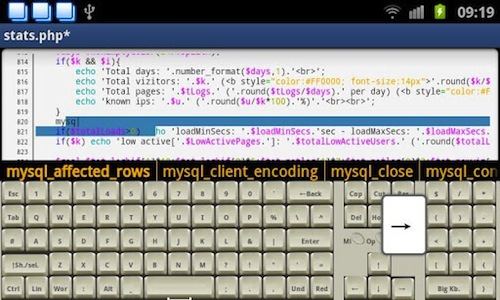 Enter Programmer Keyboard, a free app that brings a full-fledged QWERTY keyboard along with code completion. The app, besides from offering a full QWERTY layout, also includes the Ctrl, Alt, and Arrow keys that proficient coders miss out on these mobile devices. 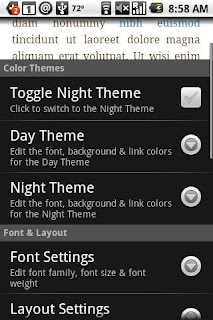 Though in beta, the app is quite stable and doesn't suffer from any major bugs. Though a good coder will make do with a relatively stale slice of pizza, he or she would never settle on just an ‘average’ text editor. 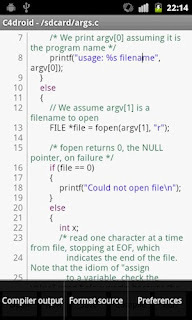 Catering to that ideology comes DroidEdit, a free code editor for Android that lets you write your code along with complete syntax highlighting. Apart from highlighting codes for Ruby, Java, C, C++, and almost all major programming languages, DroidEdit also comes with several color themes and character encoding support. Though the free version suffices the needs of most programmers, the pro version does offer some interesting features like Dropbox support and the ability to run external commands via SSH. 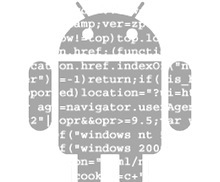 C4droid is a C Compiler for Android. If you write a lot of C or C++ apps on your Droid, this app will save you from the trouble of loading those source files onto your computer and then compiling them. Though not free, this app is pretty useful for practicing coding on the go. Much like the aforementioned programmer’s keyboard, this app brings a full-fledged computer-like typing experience to your Android. More useful for tablets, Hacker’s Keyboard comes with a complete QWERTY keyboard along with Alt, Ctrl, and even function keys. Whether you’re an experienced Ruby coder or simply a beginner, this DRM-free book will help you learn more about the amazing programming language in great detail. Written by David Flanagan and Yukihiro Matsumoto (creator of Ruby), this top-rated title will walk you through Ruby from the rudimentary basics to the essential details. 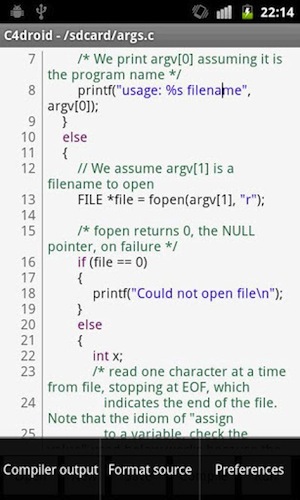 You missed "Code Peeker", this is one of the wildly used Application by android programmer. Code Peeker is an extremely lightweight code reader that allows you to view code really quickly. It supports syntax highlighting for a ton of languages, and when it doesn’t support the language it will still open the file as plain text. 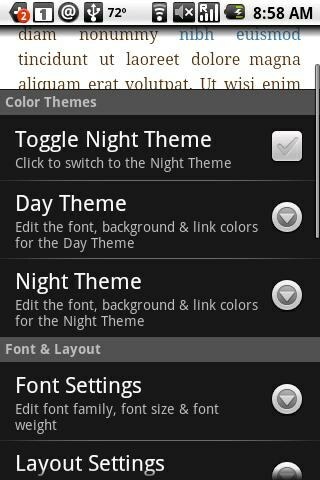 And it is free available for android 1.6+ applications.